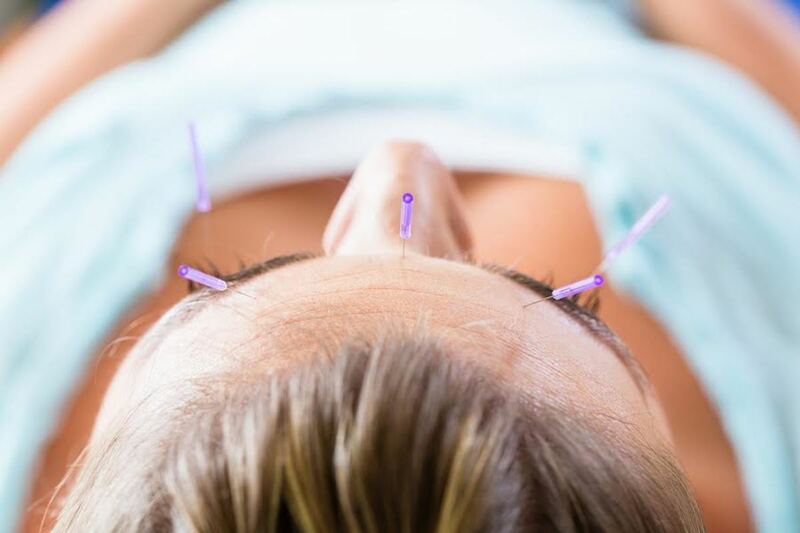 Is Facial Acupuncture an Alternative to Botox? Over the years, I’ve been known to dabble in alternative medicines and treatments. From supplements to gluten-free/sugar-free/dairy-free diets to juice cleanses and beyond, I’m game. But, the one treatment that I’ve come back to again and again is acupuncture. Originally, I was worried about whether or not the needles would hurt (they don’t) or whether it was all a bunch of hocus pocus (it’s not). I have friends who get acupuncture to treat psoriasis, others who use it for digestive issues and it was a huge part of my life when we were trying to conceive. When DASHA asked if I wanted to try their facial acupuncture, I had to give it a try. I like facials, and I like acupuncture, so this seemed like something right up my alley. The office was bright and cheerful and the staff was all very friendly. My therapist explained that at DASHA they believe in total body wellness, meaning that instead of having many different therapists scattered about the city, you have access to chiropractic, physical therapy, massage, Pilates, yoga, personal training and of course, acupuncture all in one place. My acupuncture session was similar to others I’ve had, except this one centered primarily on my face. In Chinese Medicine, it&apos;s believed that the face is a map of all channels that run through the body and by focusing the treatment here, blood flow and circulation can be increased, metabolism improved, as well as collagen production increased. My therapist explained that the additional blood flow would brighten my skin and make me seem rejuvenated which could be a great alternative to Botox and fillers for people thinking they need a little pick me up but not quite ready for cosmetic intervention. Given the name of the treatment I had (Acupuncture Facial), I was expecting to have more facial elements as a part of the session. There weren’t any creams, steam, massage or extractions involved so you’ll still have to see someone for that, but I did feel relaxed which can only help in my overall appearance. The full effects of the acupuncture facial don’t show until after the 7th session so I can’t tell you I’m ready to give up on fillers, but adding this treatment to my bag of tricks can only be beneficial to my overall well-being.